The fineness of Roman imperial and provincial coinage has been regarded as an indicator of the broader fiscal health of the Roman Empire, with the apparent gradual decline of the silver content being treated as evidence for worsening deficits and the contraction of the supply of natural resources from which the coins were made. 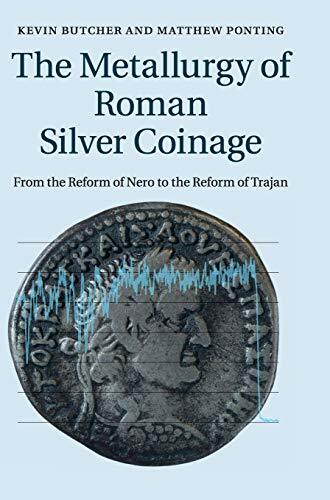 This book explores the composition of Roman silver coinage of the first century AD, re-examining traditional interpretations in the light of an entirely new programme of analyses of the coins, which illustrates the inadequacy of many earlier analytical projects. It provides new evidence for the supply of materials and refining and minting technology. It can even pinpoint likely episodes of recycling old coins and, when combined with the study of hoards, hints at possible strategies of stockpiling of metal. The creation of reserves bears directly on the question of the adequacy of revenues and fiscal health.